I love the James Bond series. I love everything about Bond: Games, Movies, Books, Music, you name it I love it. So when I heard that they were making a game utilizing five Bond films including the newest one, “Skyfall”, I was rather excited. Sure I had some doubts, like the fact that they were including “On Her Majesty’s Secret Service” and a question about if they were going to get the original actors like Connery, Brosnan or Moore, but overall I was optimistic. Then it came out and my optimism was ruined by realization. 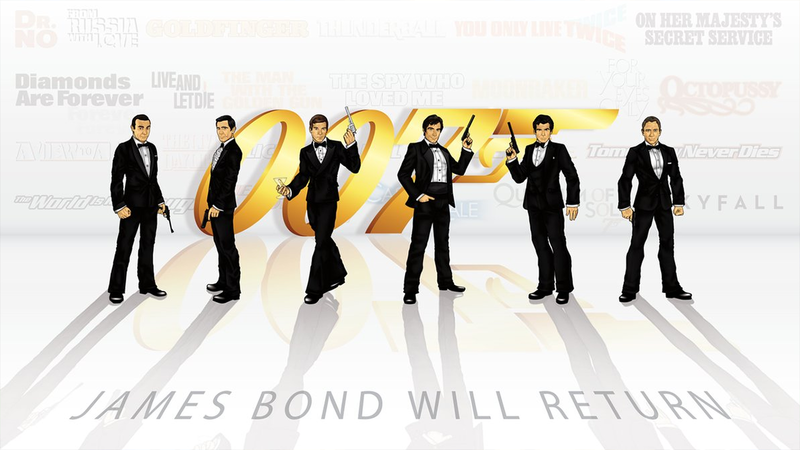 A realization that the developers have neither seen a Bond movie nor know how to write a cohesive story. Damn you 007 Legends. It opens up with a sniper aiming at Bond and another man fighting on a train. Bond ends up in the water and from there it enters a series of Flashbacks in this Bond’s career. This is a problem. There is a strong and widely accepted fan-theory that the name “James Bond” isn’t the character’s real name. It’s in fact another Alias, like the code numbers. This would explain why each of the Bond’s could be played differently, with different personalities. You’ve got the suave Connery, the Lampoonish Moore, the depressed Lazenby, the revenge fueled Dalton, the arrogant Brosnan and the Cold Craig. Each of the actors weren’t playing the same Bond, they were just playing the newest agent to have the name. At this point, it’s pretty obvious the developers just wanted a cash grab on the fact that it’s the 50th anniversary of the Super Spy, so much so that they are ignoring the number one demographic that would purchase such game, the fans. I suppose they have the certain appeal for casual gamers and people who are interested in getting into the series but the execution is so wrong. I guess the main question here is how would you fix it? For starters, let’s use the concept of a multi-Bond universe. That would make this a bit more coherent and explainable. That being said, starring the current Bond is alright. He’s the active field agent and the one who would be the primary character. Next, instead of having this Bond act as if all these incidents have been a part of his career, we again allow the multi-Bond theory to take the role. Say for example, Current Bond (from here on out will be referred to as CB) is reviewing the cases for each of the previous Bonds. CB would be looking at the reports, trying to find a connection between each of the different missions and SMERSH or in this continuity, Quantum. Therefore this is all in his head. He’s replaying what happened with each mission. For an example, the first mission is based off of the Connery film Goldfinger. Okay good starting point, granted From Russia with Love or Doctor No came before, but I’m not picky. They already made From Russia with Love, and Doctor No wouldn’t fit in this game format. So, here’s CB reviewing how Connery’s Bond infiltrated Goldfinger’s operations and then BAM first instance of Quantum. There, he makes the connection, but Connery’s mission isn’t done, he has to take down Goldfinger, hence the mission then follows the battle at Fort Knox. Meanwhile, you are playing as Connery (unless they didn’t have the rights they can replace him with a CG character or a cheap impersonator since they didn’t seem to have a problem with a Craig impersonator) but ultimately it’s being interpreted by CB. At the very end they can wrap it up with Connery retiring or getting killed at the end with the plane crash. It leaves it open for the next Bond, Lazenby in the game. Now there are no loose ends, And before you say “you can’t possibly kill off all of the Bonds”, I disagree. Connery could have died in Goldfinger, Lazenby could have been stricken with grief after his wife died, Moore could have been spaced at the end of Moonraker, Dalton could have gone rogue and Brosnan is afflicted with PTSD. They have stated in Casino Royal “00’s don’t have a long life expectancy”. This game could have explored that, CB is currently facing his ultimate mission where his life could hang in the balance, bringing down Quantum or even stopping the Assassination attempt on M.
The other negative that involved the story line was the incoherent plot ties. To use Goldfinger for another example, Bond just escaped Goldfinger’s HQ and is driving down the road when SUDDENLY he’s in the laser torture chamber. How did that happen? The developers went from an escape to a capture scene with nothing in between to tye it together except an assumption that you’ve seen the movie. The other one that just aggravated me was the ending of On Her Majesty’s Secret Service section. The movie ends with Bond’s wife getting shot up by Blofeld. The next movie “Diamonds are Forever” opens up with a revenge fueled Connery (not played by Lazenby mind you) hunting down Blofeld. And when I say hunting down Blofeld, he’s like the Punisher, killing everything in sight to get to Blofeld. The game pretty much ends that level with M saying “Oh well Bond, back to work”. Really? The multi-Bond theory works here as well, Connery’s Bond could have known Lazenby Bond and hunted down Blofeld to help bring matters to an end for Lazenby. The game? Just fucked over Bond. This could have been avoided if they included Diamonds are Forever, but instead, it’s straight to Dalton’s story, License to Kill. As a game, 007 Legends had a lot of potential. There were a lot of opportunities to make this a great Bond experience, reliving old Bond missions and exploring that concept of Mortality that each agent has faced. Unfortunately for a plot we got a disjointed, incomprehensible and ultimately disappointing mess. Ian Flemming must be spinning in his grave.